In 1921, the first Soroptimist club was founded by Violet Richardson Ward in Oakland, California. The name Soroptimist was coined from the Latin "soror" meaning sister, and "optima" meaning best, hence our tagline "best for women." From the founding of the first Soroptimist club it has grown into a global organization with over 75,000 members in 133 countries. Soroptimist International holds the only non-governmental seat in the United Nations. To read more on Soroptimist International click here. 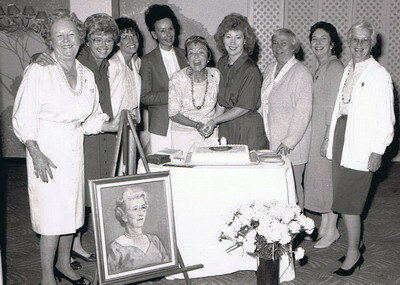 Soroptimist International of La Jolla (SILJ) was founded and chartered by Genevieve "Jenny" Ferguson on May 2, 1947. One of 1,300 clubs worldwide, we have studied the needs in our community, identified other non-profits who share our mission, and worked with them by providing awareness, time, effort, and funding. In the 1950s, we started a meeting place for seniors, the Riford Senior Center, today the La Jolla Community Center. We also helped build Parker Auditorium at La Jolla High School. 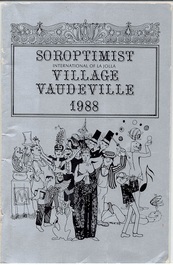 In the 1980s, we found ways to have fun and raise funds, by producing the Village Vaudeville, starring our members and residents. In the 1990s we saw a need to increase awareness and research into women’s health. We held a symposium, in conjunction with the UCSD School of Medicine and founded the Doris A. Howell Foundation for Women’s Health, and named it after our member and mentor, Dr. Doris Howell. We spent a four year period mentoring the "Just In Time" for Foster Youth Organization, to help young women who have "aged out" of the system. We helped transition to independent housing, navigating the first years of college, and overall life skills to become self-sufficient. Since 2010 we have embarked upon a quest to rescue and prevent girls and young women from coercion into sexual exploitation and forms of human slavery. We supported and worked with the Bilateral Safety Corridor Coalition to establish a thrift store and renovate the shelter it operates. We landscaped the facility, added a safe playground for the children, making it more secure and more like a home for the women and children. SILJ along with a couple of other local Soroptimist clubs, founded STAT (Soroptimists Together Against Trafficking). STAT works with a consortium of organizations, including victim services providers, educators, prosecution and law enforcement. STAT represents local Soroptimist clubs on the San Diego Regional Advisory Council on Human Trafficking. Celebrating over 70 years in La Jolla, our club is a member of Soroptimist International of the Americas, a global women’s organization of volunteers. 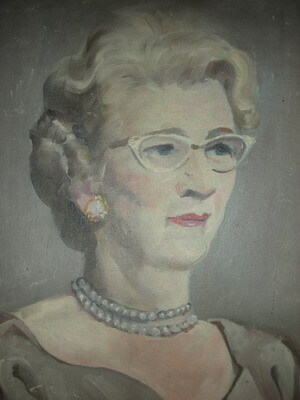 Genevieve "Jenny" Ferguson was the founding president of SILJ in 1947. Time passed by and our membership grew. Blanche Denslow offered her store and we had a book cart. That money got our Senior Center in gear. so next, a Venture Club was found. "I have voted, have you?" tags began to appear. The money was sticky, the results were real sweet. We had lots of fun with the float that we made. With readings and songs in the old-time persuasion. The lunch and margaritas were strictly for fun. A hospital bed was part of the plan. The American Field Service answered some dreams. The money brought in, increase our clout. Giving our scholarships to kids that were smart. We helped Scrippadilly and sent kids to camp. On softball and soccer we've left our stamp. The tutoring project needed help to succeed. TAP was here for a lady's new plan. The trees that we planted were started with seed. The operations were done in unusual places. were recipients of donations from us. Now it is there to eliminate gloom. Thanksgiving dinner is our special treat. We've given it help with our financial backing. Continuing research should be the yield. We filled bags with toiletries and became involved. We helped there with donations of brand new sweats. and sent them to the Fairy Godmother's secret addresses. and just think, all this began with Jenny. Ronda Landrum has been a member of SILJ since 1976 and was our president in 1979-80. A dedicated member, she is known for "perfect attendance" at our meetings!